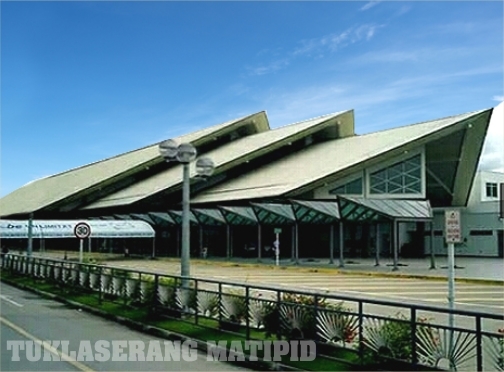 I’m born and raised in Zamboanga City, claimed as “Asia’s Latin City. I love my place that regardless of the bad news I’m there to defend it. In fact I used to sell Zamboanga with my friends around the Philippines that’s how I'm fond of my place but everything changed when I got married with my 8-year boyfriend, born and raised in Davao, a pure Davaoeño. Sometimes we can’t avoid changes in life; we will soon leave our place and learn to adopt new things that comes our way. I have a lot of denials that Davao is far better than the place I grew up but in my 3 years stay here in Davao City, I can say ----- DAVAO: life is here! As you are about to touch down Davao City Airport, inside the plane, you’ll hear this voice over “DAVAO STRICTLY IMPLEMENTS ITS NON - SMOKING POLICY IN PUBLIC AREAS”. I remember my older brother when he visited me here in Davao told me in chavacano “ahat man yo pwede man quit smoking aqui” or in English “I will be force to quit smoking here in an instant”. You need to follow rules or suffer the fine. you don’t have someone to fetch you, clean and air-conditioned metered taxis are there to receive you with big smile. 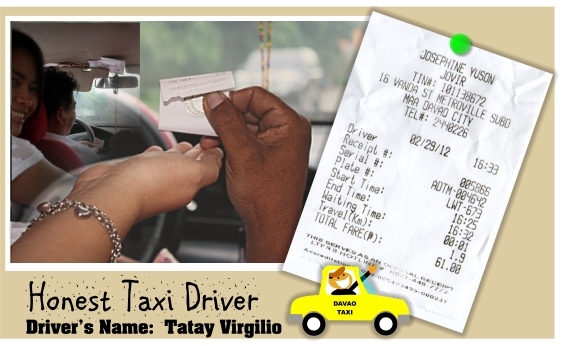 “DAVAO TAXI DRIVERS” are respectful and trust worthy they will even give your .50 cent change… that’s how HONEST they are. you’re craving for sumptuous food and you don’t have time to cook, fine dine to fast foods inside the malls like ABREEZA, GAISANO, NCCC, ROBINSONS and SM CITY DAVAO to name a few. you feel like hanging out at night with friends try MTS (Matina Town Square) , The Venue, Along Torres, or you can enjoy overviewing Davao City lights and cold breeze at Jack's Ridge. you don’t have family or friends here in Davao where you can stay, there are a lot of accommodations to choose from, Backpacker Inns to well known hotels such as Marco Polo, Apo View, Grand Regal, Water Front Insular, Royale Mandaya to mention some. Just be sure to book in advance especially during Kadayawan Festival which falls every 3rd week of August. you want to rest away from the buzzing city life, I will recommend you to stay in Samal Island beach resorts, it’s like shooting birds with one stone. Why? 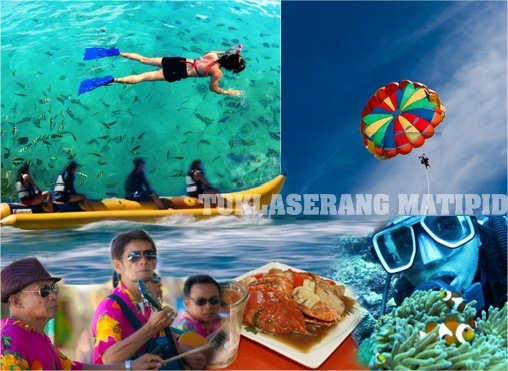 Aside from having a nice accommodation , one can unwind and enjoy the white beach sand, water sports activities such as diving, parasailing, jetski, banana boat ride, kayaking, snorkeling, etc. you’re traveling with your kids, there are a lot of parks with free entrances like the famous Peoples Park (must visit) and Magsaysay Park where you can buy a variety of fruit, like the king of fruit-- durian, mangoosteen, pomelo, mangoes, pineapple etc. Parks with reasonable entrance fees like Crocodile Park where you can see “Pangil” (second largest crocodile in captivity). 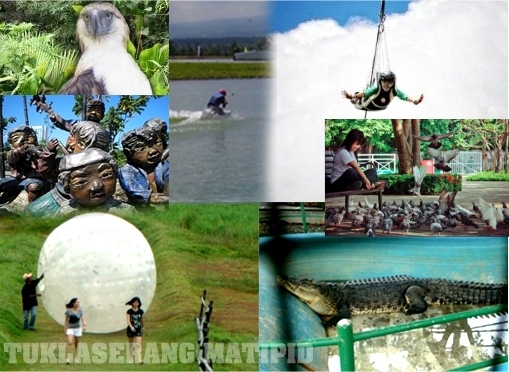 Eden Nature Park, Malagos Garden, Philippine Eagle Center, GAP Farming, Japanese Tunnel, Butterfly Sanctuary, Zorb Park, Wake Board Park (first in Mindanao) to name some. you feel like staying here for good and is concern about your children's education, Davao has so much to offer in terms of quality education and there are a lot of notable institutions in Davao offering tertiary education to choose from. you’re worried about the peace and order of the City, don’t be! Because Davao is one of the 20 Most livable City in ASIA as awarded by Asiaweek. you think Davao City is already over populated, then you're wrong. Davao City encompasses over 244,000 hectares making it the 8th largest city in the world in terms of land area. 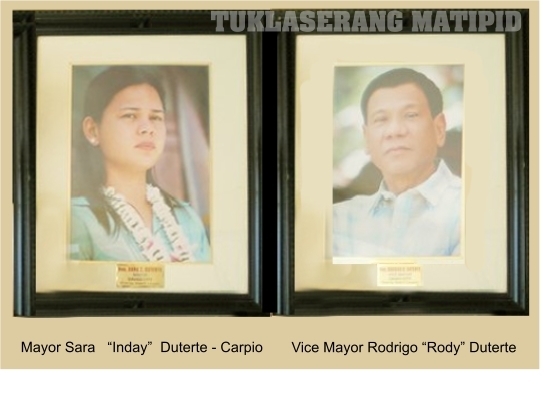 not of these great leaders who actively engage in good governance, for me, Davao won’t be as beautiful as Davao now. As an adopted Davaoeña, we should be very thankful to our Mayor, Vice Mayor and the rest City officials, I’m not saying this to be on the good side of the Vice Mayor but due to my personal experience with my idol--Vice Mayor Rody Duterte . Year back December 2010, after I attended the Misa de Gallo with my husband at Saint Paul Parish, we dropped by PAN DE POGON (a 24 hour bakery along Quimpo Boulevard) to buy some hot pandesal for breakfast since it was still 4 AM. I met a taxi driver that was carrying a bag of bread on his way back to his cab, greeted me with a smile and said “maayong buntag diha mare! Sayu pa kaayu!” I smiled back and said “guikan mi nag misa de gallo Sir” then I realized he was a familiar face… surprisingly it was the Vice Mayor, with a towellete on his neck, a typical taxi driver image, then he immediately said “ o, sigue, una sah ku kay mamasada pa ku” funny thing was, I got frozen and was not able to say a word again but just waved bye.. I was starstruck! I couldn’t believe what just had happened, even the other customers there were not aware that it was the Vice Mayor, the taxi driver in disguised. Who would expect? A high ranked official making his way to check his constituents without "media papogi", showing a strong sense of responsibility to his people. Definitely LIFE IS HERE IN DAVAO! Tuklasera Photoblog - -- High quality images hosted by Flickr. yeah i remember when i went to vist you there in Davao and was getting paranoid to see those non smoking sign everywhere ahehehehe! goodluck! indeed life is in DAVAO! i wanna go back to Davao!!! i love Davao... and i love everything about davao especially durian! yeahhh!!!! hi ms. jam, durian is of of my favorite fruit too!!! try durian coffee when you visit back Davao =) thanks! Wow! I never knew DAVAO is that wonderful! I'll visit davao as soon as ill get back to to the Philippines. Nice blog btw, i never got bored reading it. hahah thanks kuy! lot of eye candies huh??? heheheh miss you kuy! wow jing.. very nice... ang galingmo tlga.. sana manalo u again & again! 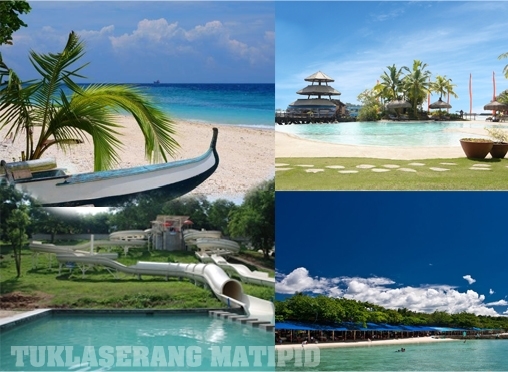 like us, we usually go to Paradise Island 'coz most likely its cheaper and service wise they are the best for me. by the way, try their paradise harvest! it's may favorite. ate tuklasera! ahehehhe. i wanted to write something about my beloved Davao, but i always got stagnant whenever I'll start to attempt one. Good thing you published this, this is exactly what I want to share with my friends =) kudos! tita tm! (tuklaserang matipid) bring me there soon okey. summer vacation is already approaching. see you! wow!!! may parasailing na pala sa davao? i want to experience that there, kala ko boracay lang meron :) astig talaga ang mayor niyo, nangjojombag ng mga dapat lang talaga jombagin hahahaha, idol!!! sana lahat ng mayor sa pilipinas katulad ng mga dutherte. galing ng blog sis! panalo! puno ng information.. may trivia pa! hehehe... ikaw na si tuklaserang matipid! ang family ng DUTERTE dito ay loved by Davaoenos. nevertheless i have high respects for your leaders. it only shows how they manage your place beautifully. hi king arthur me, yeah a lot are wondering on how we celebrate Christmas and New Year here in Davao, we still celebrate it with more food in the table, and less stress to cut fingers hahahah... actually it has been a joke here in Davao that Davao nurses are the most relax nurses in the Philippines when New Year strikes =) by the way thanks for dropping a comment. this makes me wanna go Davao. you're right not all leaders will take matters in their hands. i salute that taxi driver in disguise. he did awesome. yeah, in deed our vice mayor usually risk his life check to make sure Davao is safe to live. Thanks ate mi, yeah give me a call once you get here. galing! featured ka choose phils! i so love this place, the pride of mindanao. wait for me davao. ill be there soon. let me experience your natures beauty. kudos to your faithful leaders. nicely done, got your blog at choose philippines. 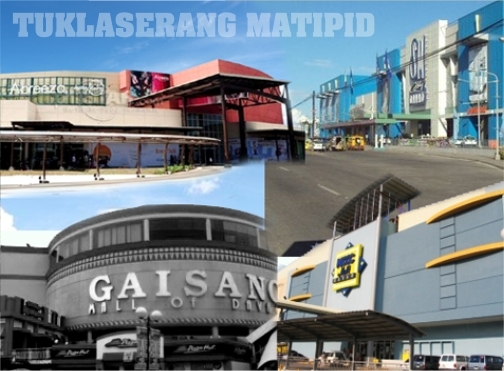 pls help me find a place near sm mall, will be touring davao soon. something affordable for 10 days stay. thanks. Thanks HN , yeah a friend told me. Btw, try sea crest its just about few steps from sm mall or ecoland suites. I was born in Davao. Sadly, left Davao in 1984 to seek a better future when the Philippines was in great turmoil and Davao was not a good place to live. What a turnaround, Davao had. Thanks for your blog, very informative. Keep up the good work and spread the word about Davao. Hi SanGie, thanks for dropping by, Davao is way far different now, in fact it was awarded as one of the most livable place in Asia. I'm at peace here.. Truly life is here. :) God bless! thank you eric! hhahaahaha... i hope ill be able to write something more about davao... thats for sure when ill have the time. sorry for replying late. God bless! I love davao..ultimate paradise getaway,I super love the food the people and the place it self...its good to cherish wonderful moments...DAVAO SURELY THE PLACE TO BE!!! Ganda ng Davao merong 911,someday lilipat ako diyan hehe. Very informative im pretty sure im gonna visit Davao soon, really love your place. creative and formative very interesting..
thanks bro ariel =) visit davao now... you'll love it here, marami kang magiging subject dito sa photog--hobby mo hehehhee... congrats pala sa trip mo to palawan bro!!! astig ka talaga! I hope Manila and QC would soon adapt that No Smoking rule. In fact, I hope the whole country would implement such. That rule alone makes me wanna go to Davao - and the tourist spots are a plus indeed. :) Go Davao! Im hell going to visit davao soon!! Maybe on my next trip down phils.. Great post ate!! by the way air asia already have their domestic route going here from clark airport (kota kinabalu - clark- davao) . ohh wow i never knew the government would banned smoking in the public area! it's good for the children and the non-smoker, though! i especially like the anti-liquor ban after 2am! reading your post makes me feel like davao is a great and safe place to live in. i'm looking forward to visit davao in the near future ;)who knows i can get a filipino boyfriend? ;) haha! jk. i would love to tour you around with rachee!!! your bestfriend's mom (kathlyn) is also from Davao right? Wow Davao Ikaw na !!! Sana makapunta ako diyan sure na great and memorable adventure to. Thank you sa mga What IF mo nalaman ko to. you make me want to go to Davao right now. thank you for all the wonderful info you've shared. i just bookmarked it so that i can read this again during my travel planning. thank you mommy kaye langit luistro! (full name) for dropping by... thank you for book marking it... and you can always message me if you need help in your soon trip to Davao! make it on Kadayawan! Why do another blog name : tuklaserang davaoena lolz... Love reading this over and over again :) especially your close encounter with vice mayor at pan de pogon... To think we were together that time, sadly i didn't jump out the car :) i'm happy though coz i know it was a dream came true , being able to meet sir rody in person! What's best you were greeted and talked! God bless! hmmm sounds great da! 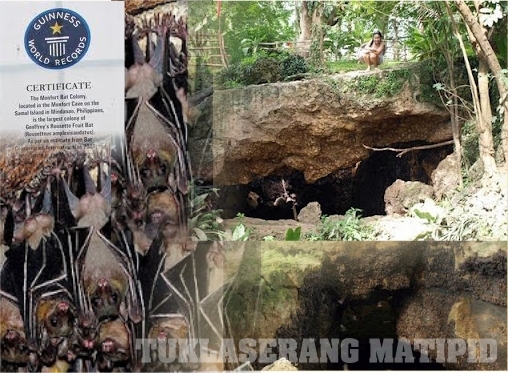 aheheheh tuklaserang davaoena..
nice blog! proud to be davaoeno! Click my name if you are looking for a site for part time job! it is 100% legit! Thanks for the heartwarming words...Come and visit Davao. hmmm masaya rin palang mag vacation sa davao hindi ko pa kasi na try pumunta doon ehehehe. Hahaha! I had goosebumps when I read about your unusual encounter with Vice Mayor Digong. I remember one time, it was raining hard and it was really traffic near SM Ecoland, then this man went outside his car and started guiding the traffic. Nung nasa malapitan na kami, we were shocked when we found out that it was Digong who came out his car and started guiding the traffic under the rain. It was insane! He was mayor back then. It's a creative blog, nobody will be bored to read this. Thanks for posting. I wish to visit someday. Thanks Bernadette.. Wish you could visit Davao City soon. 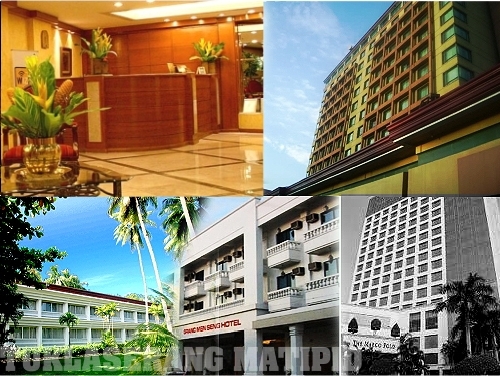 Looking for a hotel in Davao City? Try the Apo View hotel one of the best and luxurious hotel in town. The Apo View is located at the heart of the city, there is a shopping mall and a park near the hotel. The hotel has a excellent accommodation, the staffs are very kind and hospitable. The rooms are very relaxing and the foods are tasteful. You will feel like home when you check-in at the Apo View hotel. Proud to be a Dabawenyo. really? I dont know about the "911" thing. haha! Thats amazingly cool! I live in PH too! I have never been to Davao, but I hope in the future I can go there too. yay! this post of yours just gave me some ideas, as well as your other posts, for I am also starting a new traveler blog . If you feel like visiting it. and Thank You!